What's New for the 2018 Kia Cadenza? While there is only one major feature change to the new 2018 Kia Cadenza, it is one that is memorable. 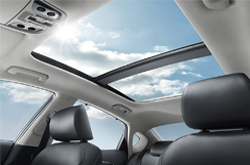 The large and beautiful sunroof with a sunshade that was previously exclusive to the Luxury package is now standard on the base Premium trim. This feature is still on the other trims as well. The 2018 Kia Cadenza has three trims. The 2018 Kia Cadenza Premium exterior comes equipped with 18-inch alloy wheels, solar control glass, sound absorbing windshield and front door windows, a smart trunk, intermittent windshield wipers, auto light control, LED high and low beams, and an integrated dual exhaust. The interior comes equipped with a 7-inch touchscreen display with a SiriusXM Audio System, Android Auto and Apple CarPlay, Rear Camera Display, Bluetooth, Smart Key, heated and leather seats, and wood grain accents. 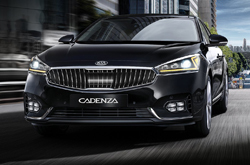 The 2018 Kia Cadenza Technology comes equipped with all of the exterior features of the Premium trim as well as 19-inch alloy wheels, a unique vertical design front grille, smart welcome, sunroof with sunshade, rain-sensing windshield wipers and a windshield de-icer. The interior includes an 8-inch touchscreen display with voice command, smart blind spot detection, lane change assist, rear cross traffic alert, forward collision warning system, heated steering wheel and an integrated memory system. 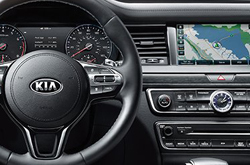 The 2018 Kia Cadenza Limited comes equipped with all of the features of the Technology as well as 19 inch alloy wheels with a black satin finish, chrome outside mirror housing, head up display, power rear window sunshade, rear side window sunshades, quilted Nappa leather seat trim, heated rear seats, and exclusive floor and trunk mats. The 2018 Kia Cadenza Premium, Technology and Limited trim have an average horsepower of 290. 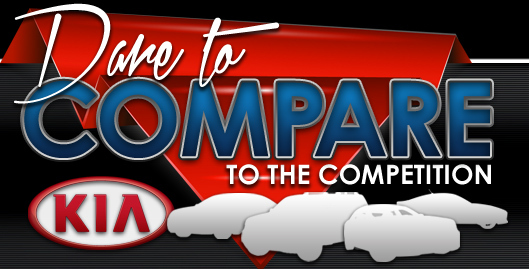 All three trims also have an average of 20 mpg in the city and 28 mpg on the highway which is a combined 23 mpg. Each transmission is an electronically controlled 8-speed automatic overdrive with sportmatic and smart shift drive. Each engine is a V6 3.3-liter engine. 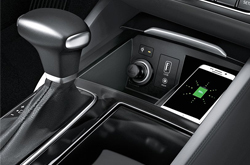 All of the trims on the 2018 Kia Cadenza come equipped with dual front advanced airbags, dual front-rear mounted side airbags, curtain airbags, vehicle stability management, electronic stability control, traction control system, high line tire pressure monitoring system, electronic brake-force distribution, brake assist system, impact sensing auto door unlock and front and rear crumple zones. The 2018 Kia Cadenza earns the 2018 IIHS (Insurance Institute for Highway Safety) Top Safety Pick with its advanced front crash prevention and LED headlights. Please call (844) 869-7230 for further assistance.